To be honest, I’ve only ever stayed at the northern part of the Han River (Myeongdong to be exact) whenever I visit Korea. 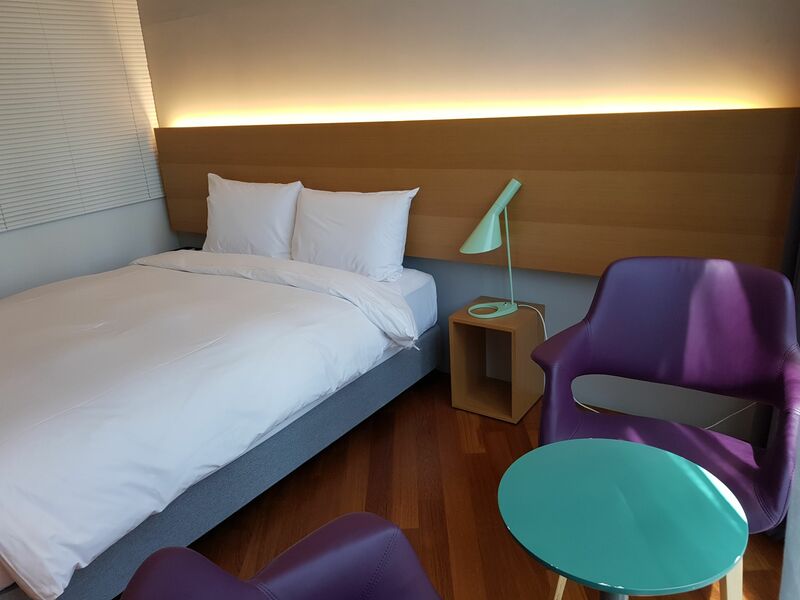 My recent stay at Hotel Peyto Gangnam was my first time staying south of the Han River. 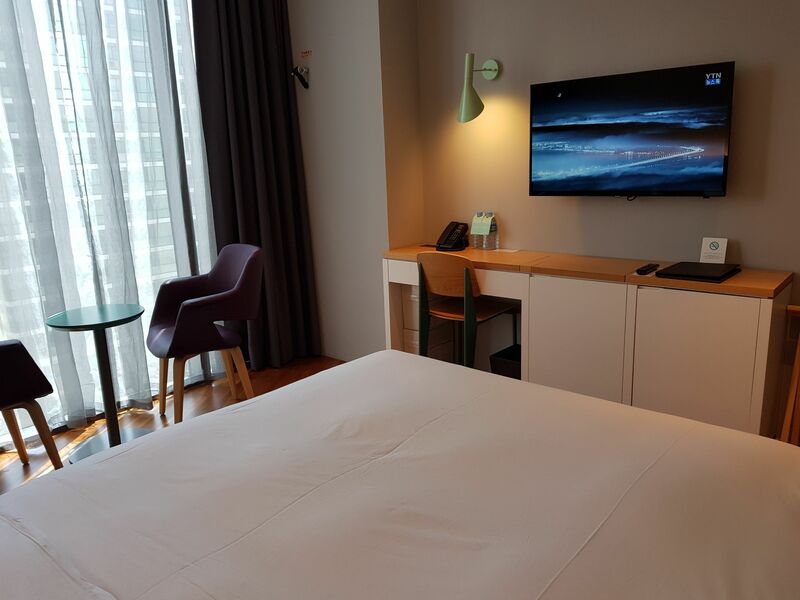 Again, if I had my choice, I would’ve probably gravitated back to the familiar streets of Myeongdong but as I had joined SMTOWN Travel’s Global Package and would be based there, Hotel Peyto Gangnam it was. Disclosure notice: Some of the outward links in this blog post are partner/affiliate links that I may receive compensation for at no cost to you. The opinions expressed in this blog post are purely my own. For more information on advertising on this blog, please refer to my full disclosure policy here. 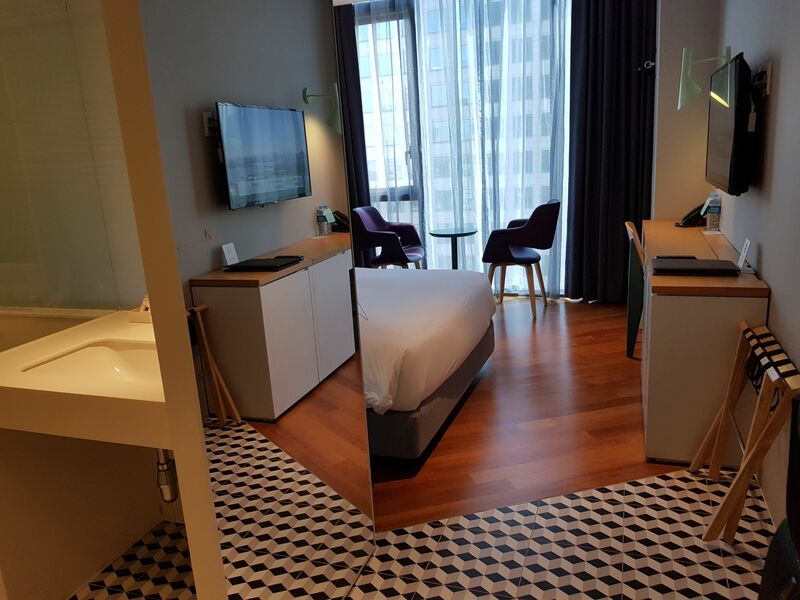 First impressions count for a fair bit of how perceptions are formed and I was quite happy with Hotel Peyto Gangnam’s responsiveness to my room requests prior to arrival as I would be staying there on separate bookings but on consecutive nights. The early check-in after an overnight flight was also much appreciated! 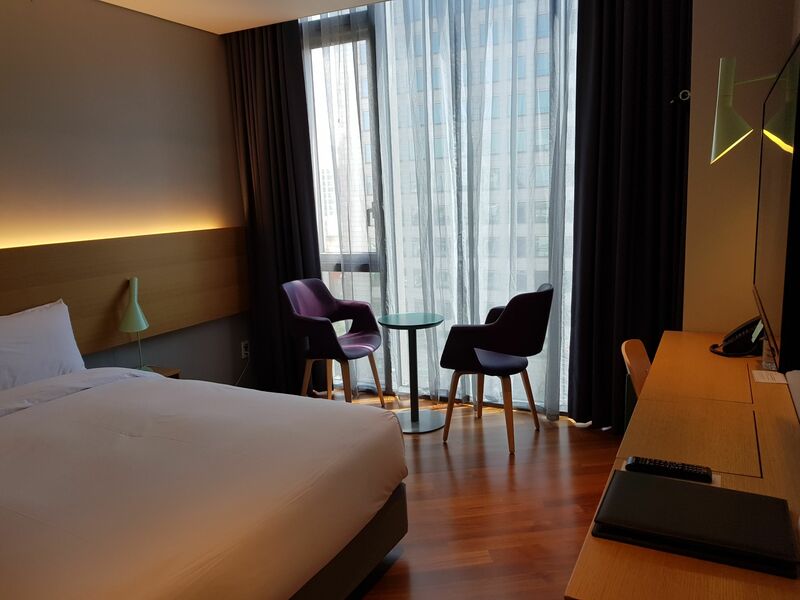 No photos of the lobby/entrance area but Hotel Peyto Gangnam strikes me very much as a business hotel with a relatively good location in the Gangnam district. Exit 2 of the Yangjae subway station is just about 150m from the hotel and the airport bus (6009 from Incheon International Airport) stops right in front of the hotel so transportation is a breeze. 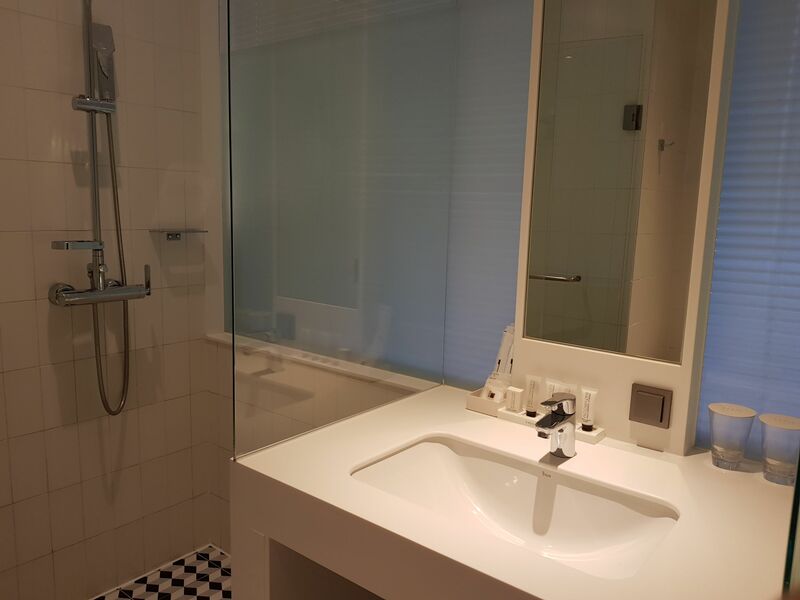 Leisure travellers should note though that the hotel is located at the business end of Gangnam and not where the tourists congregate nearer to Gangnam subway station. If you’re amenable to walking, it’s an easy 15-20 minute walk which was fine for me. Onwards to the room pictures! I was quite pleased with the Deluxe Room, especially at the rates I found on Agoda. The room size is decent considering that I have stayed in tinier rooms elsewhere in Korea and Hong Kong. The mini table and chairs were great for having a quick meal. Even though the room overlooked the main road, I didn’t find it noisy or disturbing at all. The bed was relatively comfy – not too hard or too soft for my preferences. As Goldilocks would say, just right! My only pet peeve was that there was no power point/outlet next to the bed, which meant charging all of my electronics across the room. WiFi was decent but not great depending on what you were doing – using a VPN seemed to be rather slow, but YouTube worked just fine. Standard hotel room shower with regular toiletries. I appreciated that Hotel Peyto Gangnam provided toothbrushes as part of the standard amenities. Having to ask for such necessary amenities at other hotels in Korea really irritate me at times. I did wish that the room slippers were a tad less thin though. Nothing much to comment about this picture except that I love the heated toilet seats in Korea! It would be too warm to have this in Singapore but overseas where there are four seasons, it’s nice to not have cold seats especially in the mornings. 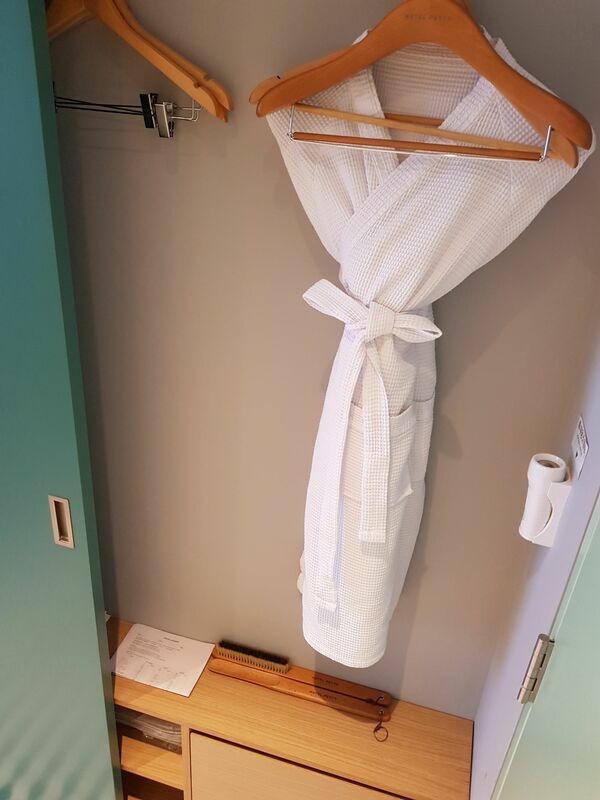 If you’re the type of traveller who absolutely must unpack and hang all your clothes, I think you’ll find the closet space here to be mind boggling. While the sliding door concept is pretty cool and space saving, I wasn’t able to hang more than a day’s worth of clothes. I do wish there was an iron provided in room, but that’s just me and my need for wrinkle free clothes. 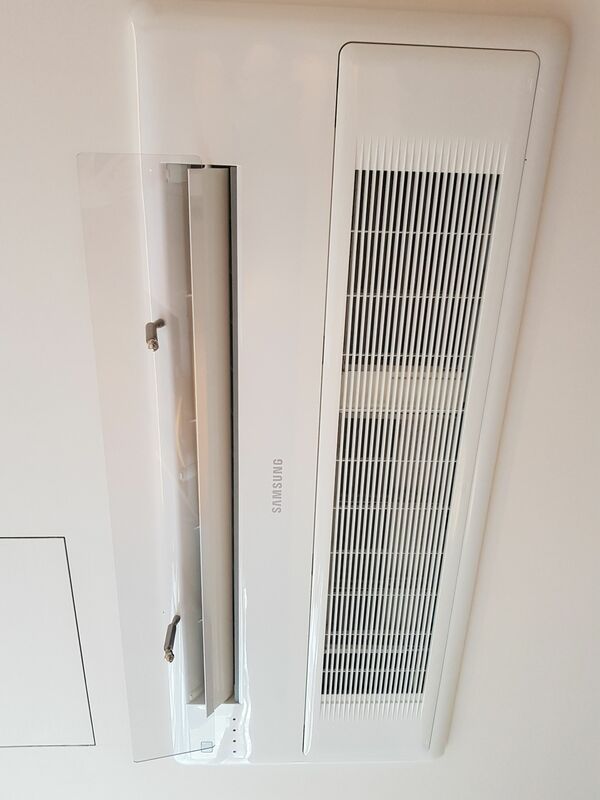 This air conditioning unit that was inbuilt into the ceiling caught my attention – for the clear glass ledge that is attached right under the vents. 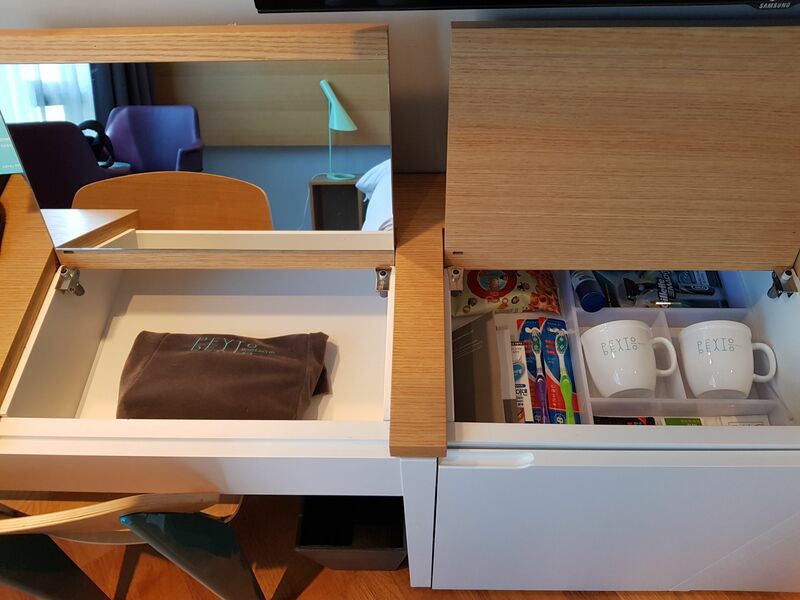 Again, very space efficient designs of having the vanity mirror and mini bar items nestled into recesses built into the counter top. There are a few cafes (Paris Baguette, Starbucks, Coffee Bean) dotted around the area with the usual convenience stores (C2U, 7Eleven) so you won’t lack for food even at midnight. I found myself walking to the nearby McDonald’s or 24hour Lotteria when hunger pangs struck in the middle of the night. I really liked the fact that the hotel still feels new and well-kept. 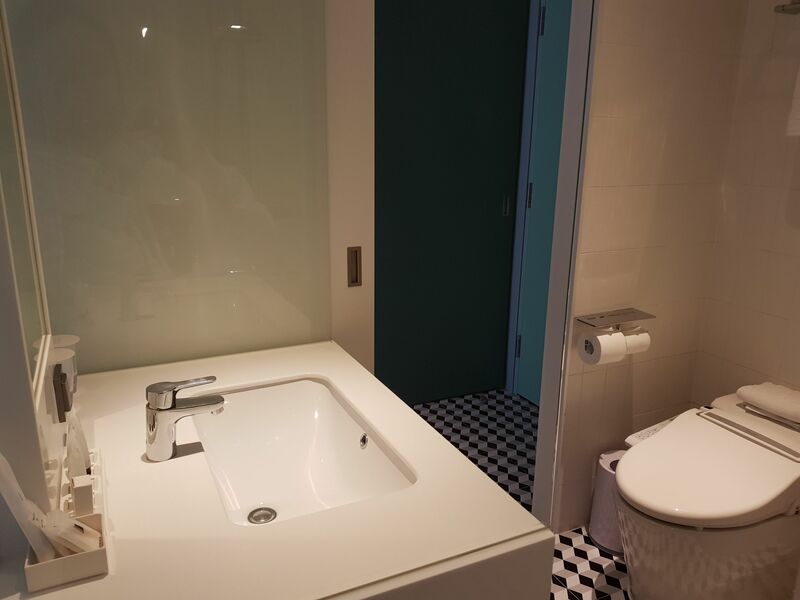 Location could be nearer to the trendy part of Gangnam, but in all, this would be a decent hotel for someone who is familiar with Korea and knows how to navigate the subway system and doesn’t mind walking a bit.